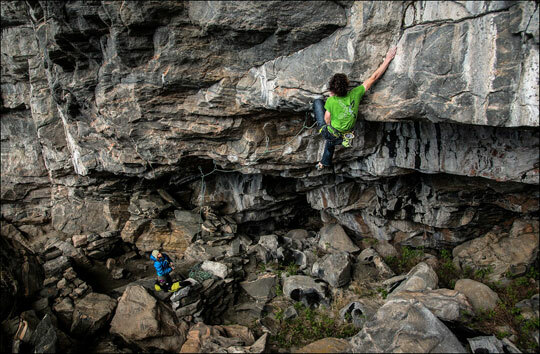 Adam Ondra is back in Norway for the summer, continuing to explore the massive Hanshelleren cave in Flatanger. Last summer he onsighted a couple of 5.14cs and established a potential 5.15a. Oh, and he also did the FA of Change (5.15c), a route on a very short list for hardest route in the world. It is rather short, compared to the other lines in this incredible cave, but it has super nice hard bouldery moves and a really tricky dyno, very low above the ground, into a tiny hold which you can not see. I’m guessing this is not the last we hear about Ondra’s summer in Norway. Has anyone heard of anybody else trying Change?